The Hobbit will be released in two parts. The first, titled An Unexpected Journey, and the second titled There and Back Again. The films star Ian McKellen as Gandalf, Martin Freeman as Bilbo Baggins, Benedict Cumberbatch as Smaug, Cate Blanchett as Galandriel, Elijah Wood as Frodo Baggins, and many more. Peter Jackson returns to direct these prequels to the Lord of the Rings series, based on the J.R.R. Tolkien novels of the same name, after original director Guillermo Del Toro dropped out. 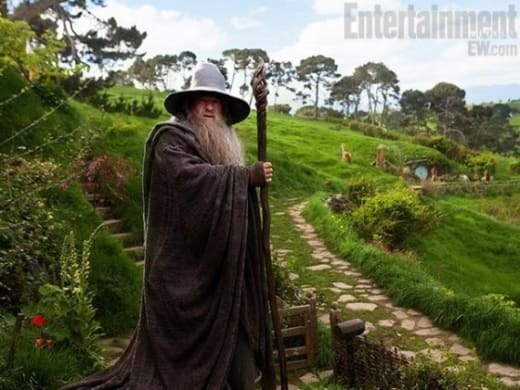 The Hobbit: An Unexpected Journey comes out December 14, 2012, with There and Back Again hitting theaters December 13, 2013. To take an in-depth look at the incredible production, check out this The Hobbit production video.